In the United Kingdom, the bulk of fuel bills paid by households is made up of central heating and hot water. The estimated amount may be larger or smaller in actual homes. Central heating is a necessity for UK homes, and it is essential to know which works most efficiently and most cost-effectively according to usage, and floor size. There are two main types of residential boilers: steam boilers and hot water boilers. Although both essentially function the same way, each has its perks, and, when utilised correctly, will serve any household the best. Here are the main differences between steam boilers and hot water boilers. The principle behind the system is simple: a central machine heats water and then distributes the heat generated by the process to the different parts of a house via pipes. Hot water boiler heaters usually have lower intensity and temperature of heating as compared to steam boilers, mainly because the former only requires maintaining an optimal amount of heat, while the latter needs to convert the water to steam and therefore needs higher temperatures to function. Although steam boilers need more fuel to produce hot steam, this is balanced out by its fast and virtually costless method of circulating heat. Since steam naturally expands, this type of boiler does not require much energy to distribute heat. On the other hand, hot water boilers need an electric pump to drive the hot water to various parts of the house. 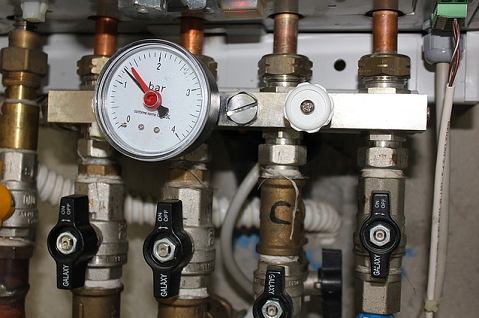 Because steam operates on a natural principle, users have little to no control over it, which is in contrast to hot water boilers, which give users control with regards to water temperature, water pressure, and even a backflow regulator. Boilers generally need little maintenance as the way they operate is relatively simple compared to other appliances in the house. However, between the two types, steam boilers reportedly build up limescale and corrode faster than hot water boilers. However, because hot water boilers are composed of several components (more on this below), they may need more maintenance compared to the other type. Steam boilers are self-sufficient, and as such require little space. In comparison, hot water boilers tend to take up more room because of their multiple components. For them to function well, hot water boilers require a motorised or electrical pump, an expansion tank, a regulator, and a flow check valve. Hot water boilers and steam boilers cost approximately the same. Websites like BoilerQuoteCompare.co.uk will show this. They will give you the option to boiler quote compare before you decide to purchase a residential boiler. Hot water boilers are more widely used by UK homes compared to steam boilers, mainly because the former has been in use for so long. Moreover, most people choose hot water boilers because they give them a certain amount of control, as opposed to the other type that relies on the natural process of steam expansion. Although this is the case, steam boilers are gaining considerable popularity as well because they are more energy efficient, with the lack of control of the heat being the only downside for most households. Furthermore, this type of residential boiler does not require much setting up or space. To choose the better boiler, you should know which you prefer, and which is more convenient for you: energy efficiency or control. Both boilers are necessarily the same and making the best of one type is dependent on the user. If in doubt, consult a heating expert for further advice.